I am here with Chaz Parks! So Chaz and I go back plenty of years! I look up to him in this industry! He is the type of guy that always is willing to learn something every single day! Now, Chaz grew up in North Georgia in the country, lived in poverty! A pretty rough upbringing, always on some type of welfare, getting handouts from people. His mother passed away from cancer and his dad died from addiction, alcohol and drug abuse. When Chaz grew up, he watched every single show on television such as Rosanne, cheers, saved by the bell. Chaz never had a role model in his life for door knocking or entrepreneur until he got older. He later found himself in some deep holes with criminal offenses. It took decades and lots of money and with the help of the local church, he received salvation. At the church, he was approached by a man with a business card and then things took off in a different direction for Chaz. He got involved with the network industry. He read a book called Rich Dad Poor Dad and that also became a turning point. He saw men who were entrepreneurs, men who came where he came from, even from worst situations and he realized it doesn’t matter where you came from as long as you were willing to put in the work and the effort. This is where Chaz felt that home security was a great opportunity for him to do just that. Now, Chaz had to transition from his current job which was at a restaurant to door to door sales. 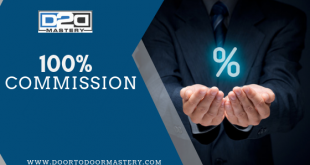 Chaz found my free video series and signed up to learn more about door to door sales. The program has progressed much since its initial launching. Chaz focused on the main scenario which was handling rejection and claims, “the video series goes over those vividly.” He continued to push hard and progress and grow in home security. Now, I (Paul) feel that even if you do not have the money there is always free content online that you can go to at the start of your career to help you until you get on your feet. I have provided a free video series that has helped Chaz and over thousands of people with door knocking techniques. You see, in the beginning, both Chaz and I didn’t even have a full bed to sleep on! I know for myself, my wife and I slept on a blow-up mattress for a good while before we cashed in on some sales! Chaz used to travel on public transportation with a backpack filled with food to complete his turf and reach the level of success he is at today. I feel that Chaz story is absolutely amazing and I feel it is important to know how one gets to the end of the tunnel. In Chaz case it was faith! He saw the worst of the worst and the best of the best and it made him strive for the best! He had over a hundred traffic tickets, so much debt but Chaz faith with the Lord has given him the opportunity to take care of all of that and find a partner that he plans to spend the rest of his life with. The end of the tunnel for Chaz is to be well off enough to live at ease and to have the best of the best. In my master series videos, I go over what the top sales rep does and what they put in the morning before knocking on doors. Chaz feels the biggest rejection is “not knowing your component, not knowing the other companies!” With resources, apps, and perseverance Chaz has excelled in door knocking that he was able to purchase a BMW. But prior to this, he would use public transportation and later purchased a bike. Eventually, after some turmoil with vehicles that he purchased he got to the end of the tunnel and purchased a very sufficient vehicle. He now works with American Defense Systems and is amazed at management and the work in itself. They gave Chaz the tools and resources to look professional and provided him to work for a cause. The non-profit organization’s ADS supported pushed Chaz to accept this job and excel in it more so than any other job. 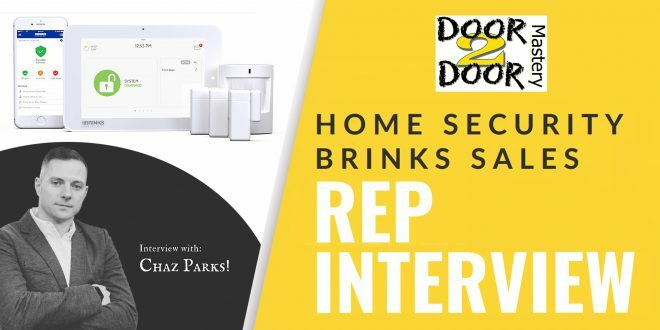 For struggling door knockers Chaz wants you to focus in on what the top sales reps are doing. “What are they doing to close those deals? You have to show up to make sales! Become that individual!” Now, Chaz trains people, build teams and provides motivational content for those in this profession. Here is another resource for you! You can contact Chaz through social media or reaching out to his email ChazAtlanta@gmail.com. Until next time! Peace!